Courtesy of RE/MAX Select One, Judy Whitelock. Ahh ha, here is one of the lightest, brightest homes you will find. As you step into the custom designed front entry, you look straight through to a lovely family room and kitchen, and on to a relaxing back patio and yard complete with many fruit trees and a side yard garden. The home is high up in the family oriented community of Niguel Hills and the local Charter School is close. Inside the home the owner has just installed light colored wood style porcelain tile throughout most areas. The premium convection oven/microwave combination, stove top and dishwasher are new in June 2018 and there is fresh paint on the kitchen cabinetry, bathrooms are looking wonderful and doors in master bedroom draw you out into the lovely back area as well as having upgraded French patio doors off the family room with its cathedral ceiling, several new light fixtures, new kitchen, dining and bathroom windows, recent garage door,etc. The location is wonderful in the upper area of Niguel Hills and you are centrally located in Laguna Niguel to get to the toll-way and freeway, Mission Viejo mall, shopping centers, the community and county parks off of Crown Valley pkwy and La Paz Rd, the beaches are close by as well as Dana Point Harbor and you feel the ocean breezes. A huge plus is there is No Association and your tax rate is not much above 1%—Who could ask for anything more? Please, send me more information on this property: MLS# OC19084104 – $899,900 – 25286 Adelanto Drive, Laguna Niguel, CA 92677. 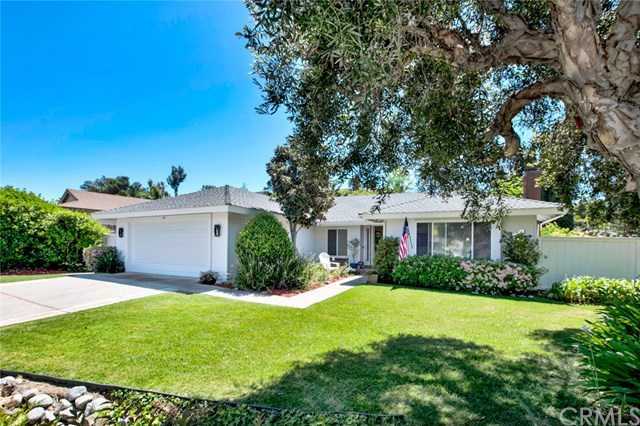 I would like to schedule a showing appointment for this property: MLS# OC19084104 – $899,900 – 25286 Adelanto Drive, Laguna Niguel, CA 92677.